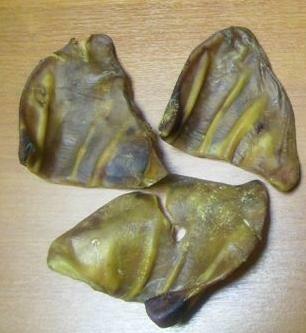 Large Whole Pigs Ears Dogs Love them, English Soursed Golden Brown Non Smelly Ears - Superb Quality. Whole Pigs ears golden brown in color and comes 50 to a pack. Super special offer with every 50 pigs ears purchased you get a free gift added to the bag.